Home Photo-Video Booth PTBooth A1 Plus Video Booth video capture in photo booth video messages recording in photo booth PTBooth A1 Plus and Easy Access Photo Booth is currently testing at live events! 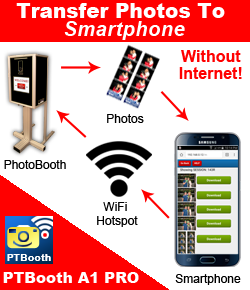 PTBooth A1 Plus and Easy Access Photo Booth is currently testing at live events! It's time to start getting excited! Photo Booth Experts is about to launch two brand new highly anticipated items into the market. As you are reading this we are in the field right now testing the brand new version of "PTBooth A1 Plus" custom photo booth software along with the brand new "Easy Access Photo Booth" LED unit. These are going to add some amazing options to any photo booth rental event. The new PTBooth A1 Plus software is not only a updated version of our software you've come to love but it now includes the additional feature of being able to record video messages. The PTBooth A1 Plus software and The Easy Access Photo Booth unit will be available for sale as soon as field testing is completed.